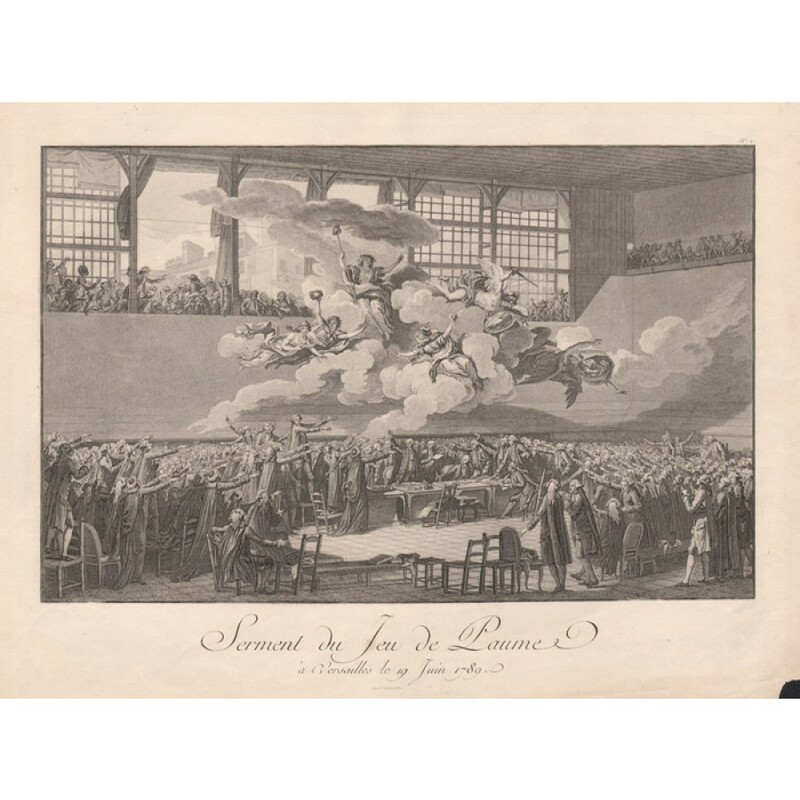 France_s violent transition from the ancien regime that had nurtured tennis (le jeu de paume) to the anti-aristocratic revolution began with the takeover of a tennis court. 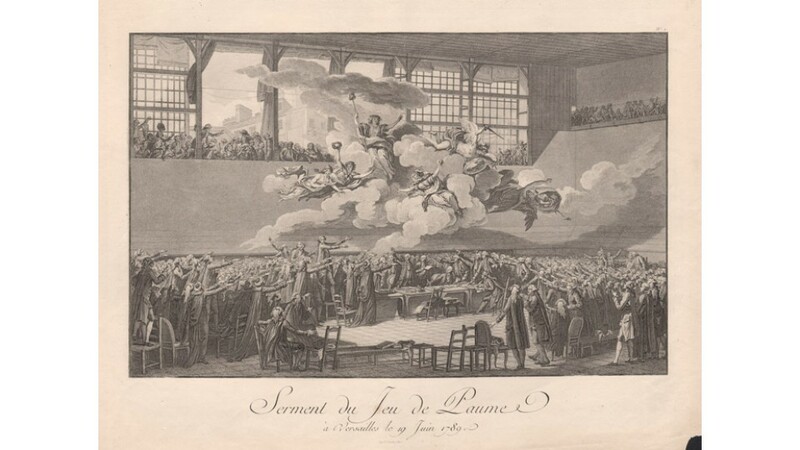 In June 1789, following a month-long deadlock in the States-General over constitutional reform at the royal palace of Versailles, the frustrated Third Estate (the commons), which had been locked out from the formal meeting place by King Louis XVI, declared itself a National Assembly, took over a royal tennis court, and on June 20th took an oath (serment) not to disperse till their demands were met. Three weeks later, on July 14th, a Paris mob attacked the Bastille prison. Charles Monnet is one of the most famous illustrators of the late eighteenth century. 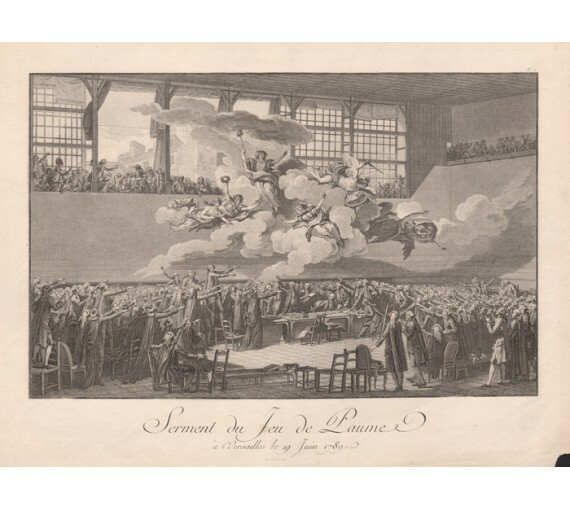 He is particularly known for his illustrations of the French Revolution. Printed by C Chardon in Paris. There is a faint spot in the title area and the lower right corner of the sheet is missing, but this could easily be hidden by a mount.